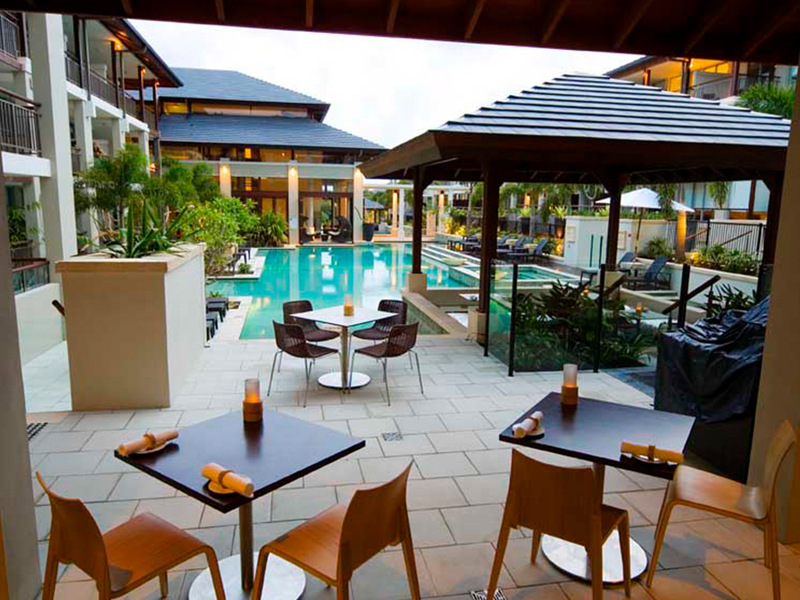 Oaks Santai Resort is the culmination of a unique vision to combine the ambience and architecture of a luxury balinese inspired resort with a subtle but distinct Australian undertone. Located on the New Tweed Coast 15 minutes south of the Gold Coast airport and 30 minutes north of Byron Bay it is the perfect choice for that intimate getaway. Oaks Santai Resort comprises a total of 114 luxury studios and apartments set over three levels, which wrap around the extensive internal lagoon-style swimming pool and landscaped grounds. 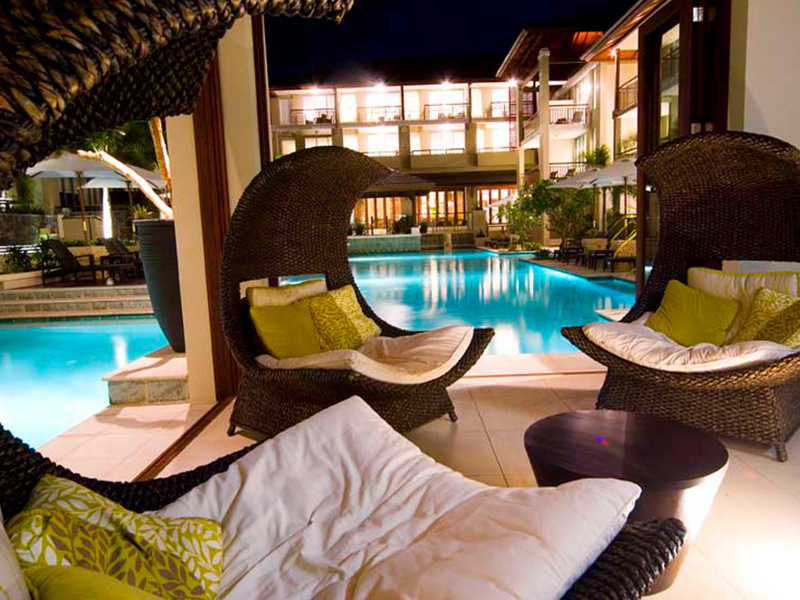 Two palm fringed luxury pools provide the perfect place to relax and cool down from the hot summer sun. If you are visiting during the winter months then you can still take the plunge in the Balinese Garden Pool which is heated at 26 degrees or the heated outdoor spa. The Guest Lounge is the perfect place to sit back and relax. Grab a newspaper, a magazine or bring your laptop and enjoy the comfort of this private open-air lounge overlooking the pools with complimentary WiFi access. 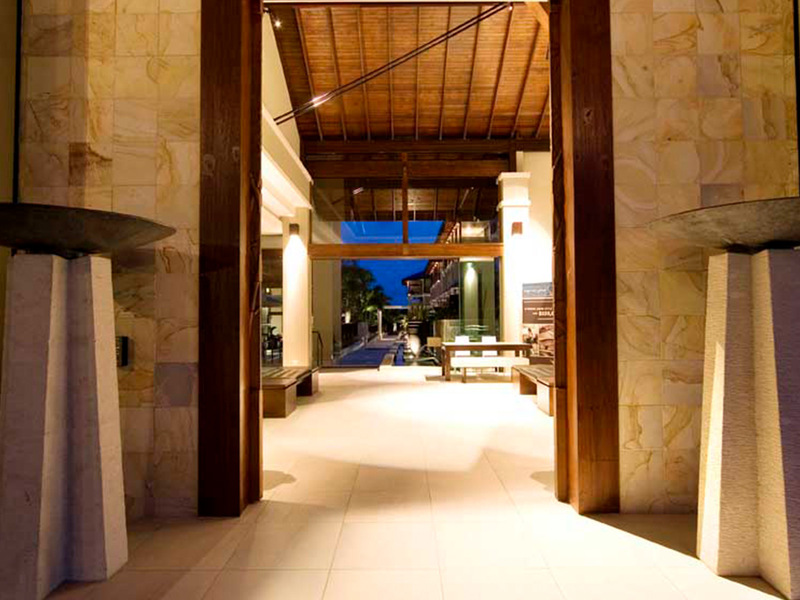 The Village at Casuarina Beach offers a convenient place for you to get those holiday essentials. Offering a range of speciality shops the Village is only a five minute walk from Santai Retreat. Experience all Northern NSW has to offer from Mt Warning National Park, to local attractions and fabulous beaches. You will leave wanting more. 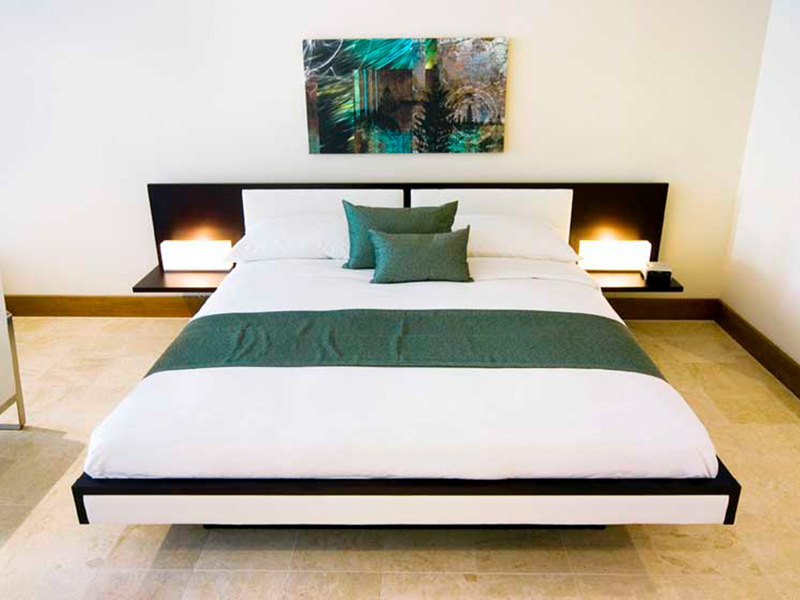 King Studio - Features a king sized bed with luxury linen and a marble ensuite complete with spa bath. The kitchenette is fully equipped with hotplate, microwave and dishwasher. There is a coffee machine with complimentary pods on hand to make sure you start the day on the right foot. In the living area, there is a comfortable sofa and large plasma TV with Foxtel. Plus a covered balcony with an outdoor BBQ. King Studio + 1 Bedroom Apartment - perfect for two couples or a family. 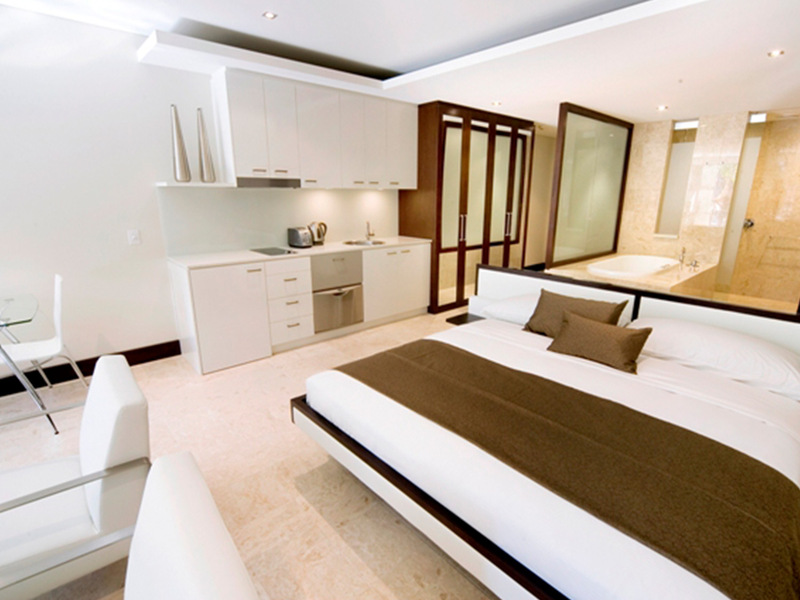 The apartment has a flexible layout which means the king sized beds can be separated to form two single beds. Features include marble ensuite complete with spa bath and complimentary toiletries. The kitchenette is fully equipped with hotplate, microwave and dishwasher. A coffee machine with complimentary pods comes as standard. 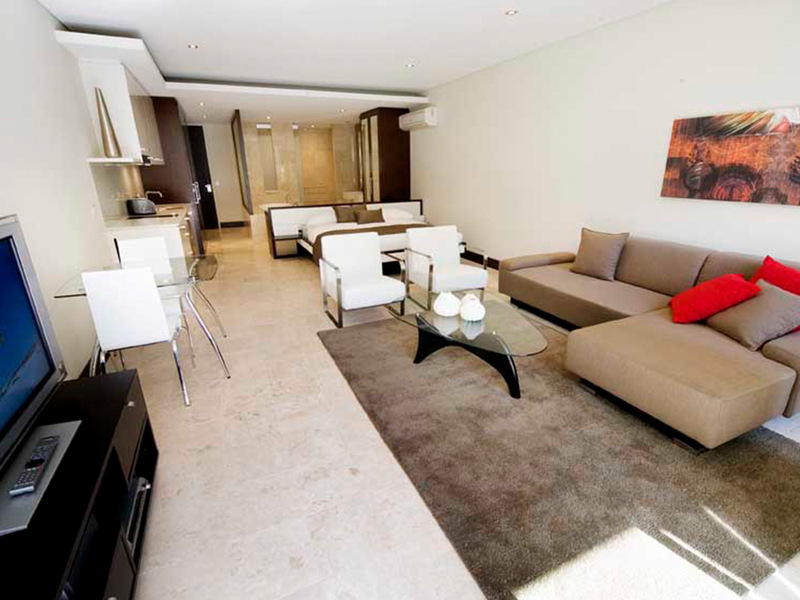 In the living area, there is a comfortable sofa and large plasma TV with Foxtel. The balcony has a seating area and an outdoor BBQ. 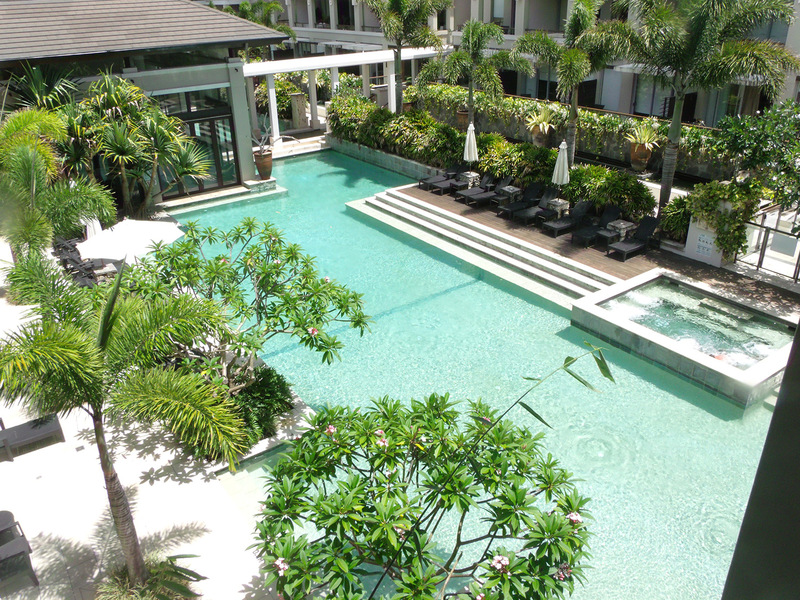 2 Bedroom Spa Apartment - perfect for a family of four or two couples. The apartment is spacious and has it’s own living room as well as an enclosed balcony. Both rooms have a marble ensuite complete with spa bath and complimentary toiletries. The kitchenette is fully equipped with hotplate, microwave and dishwasher. A coffee machine with complimentary pods comes as standard. In the living area, there is a comfortable sofa and large plasma TV with Foxtel. The balcony has a seating area and an outdoor BBQ. 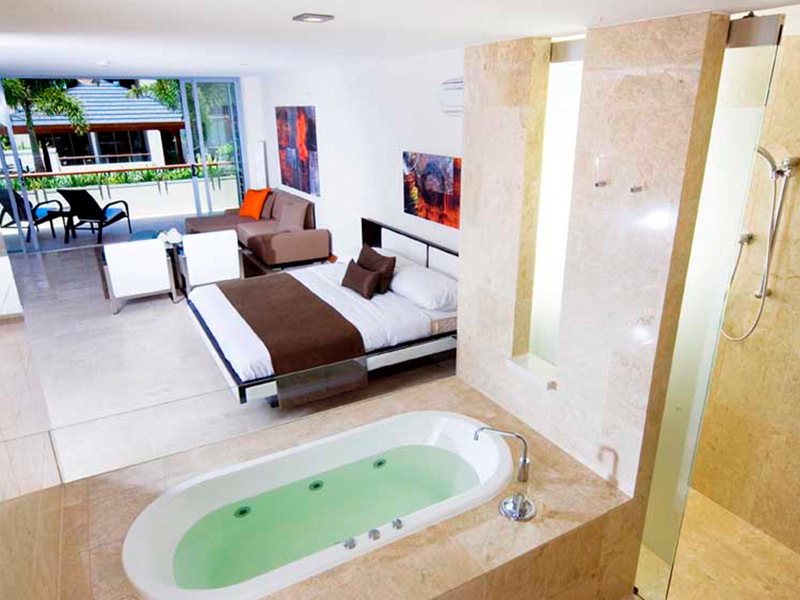 2 Bedroom Deluxe Suite - this is the ultimate in relaxing and entertaining and makes the perfect honeymoon suite. The master bedroom includes a luxurious large ensuite containing a private spa bath and a large shower. It also has its own TV complete with Foxtel. The second bedroom has two single beds which can be combined to make a king bed and a separate spa ensuite. Features full kitchen facilities including cooktop, oven, coffee machine and microwave. 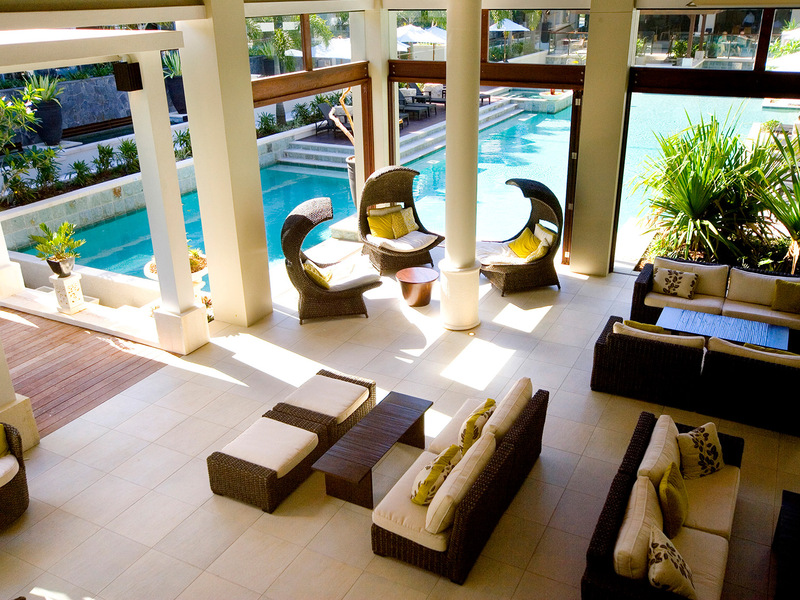 Spacious outdoor living area with BBQ and outdoor dining for 8 people, matched by a large lounge area with TV and Foxtel. The Wellness Spa - experience holistic spa therapies, indulgent pampering and the power of rest within the tranquil surrounds of this onsite Spa. Highly skilled and intuitive therapists have been sought out for their expertise and offer an array of specialties to create a spa journey like no other. The Spice Den - a separately owned and operated Thai restaurant specialising in Thai cuisine that has both guests and locals raving. Choose from the banquet or order what you like, either way the food is fantastic which probably explains the great reviews on Tripadvisor. 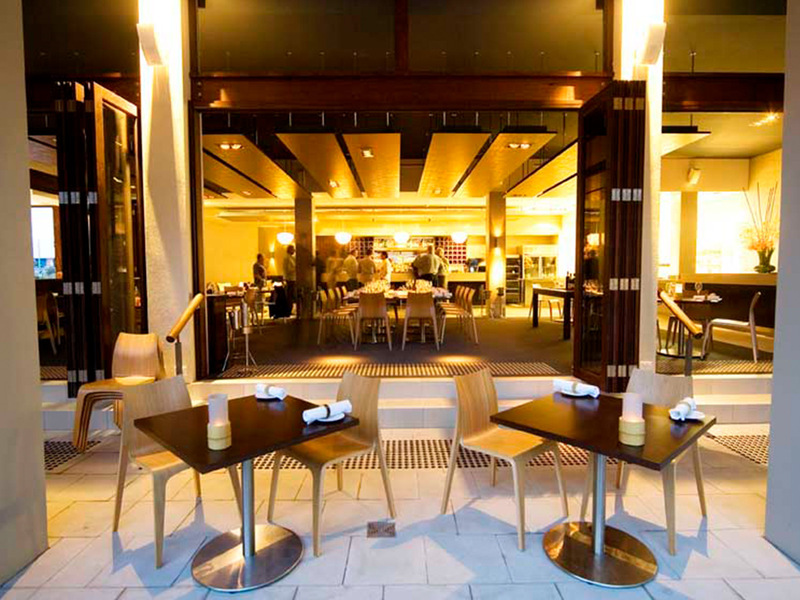 Open for lunch Friday, Saturday and Sunday or dinner from Wednesday to Sunday.